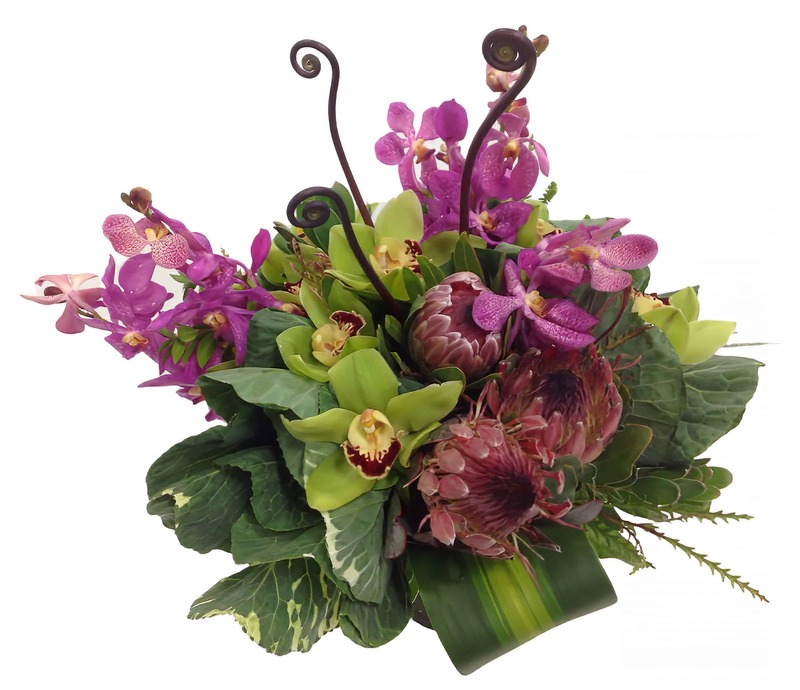 Add a little spice to your romantic side with this unique arrangement of Cymbidium Orchids, Queen Protea, Monkey Tails, Hydrangea, Freesia, Vanda Orchids, Tiger Ti Leaves and more. It's sure to have people asking where it came from! A very versatile piece that will make a perfect gift for any occasion, upscale the office decor or give you a new sensual way to let someone know you are in the mood for some romance!